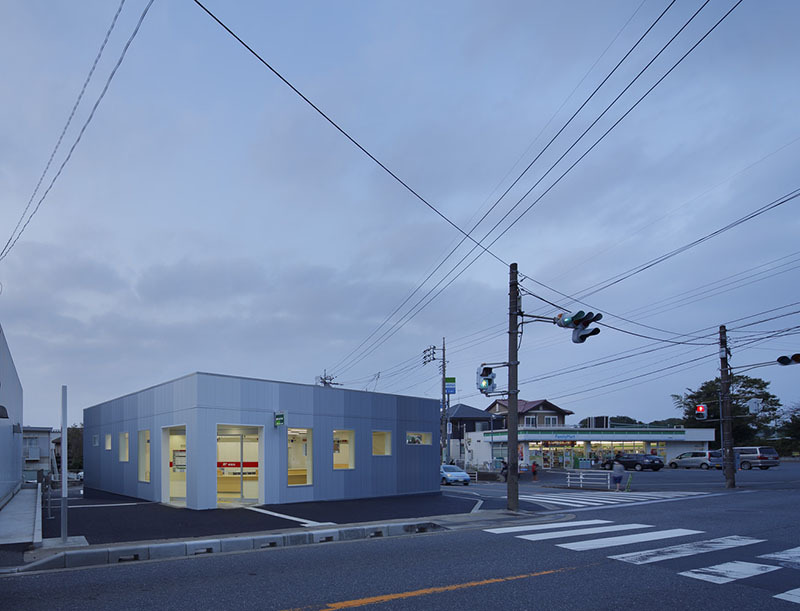 Japanese Post Office is a facility dealing with postal, deposit and insurance services closely on the needs of daily lives of local resident. Originally, there is a history that Local Post Office widespread their business by local worthies has offered for nothing a part of their land and buildings. 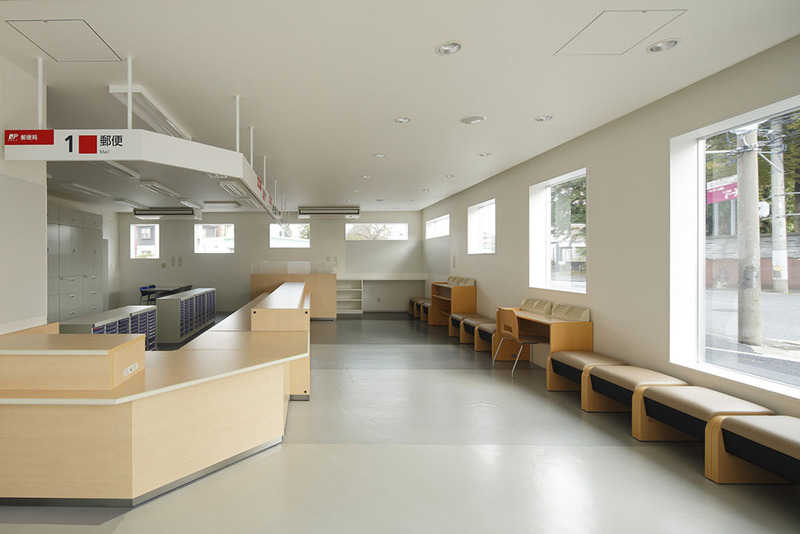 So it has an important significance also as a facility responsible for the community formation of the area. 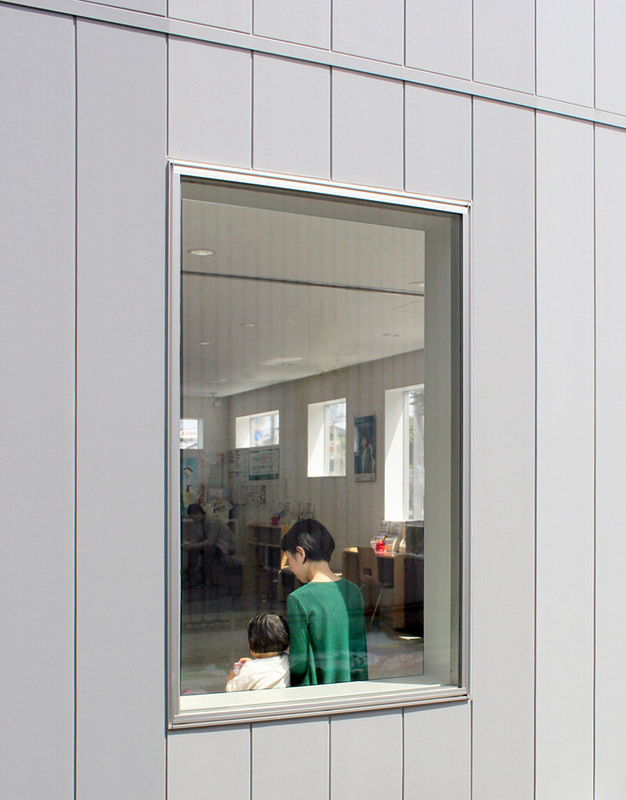 We consider that Window to be opened in the city is the entrance of communication, then we decided to characterize the architecture at the window of the design while adhering the square plan that has been standardized by the JAPAN POST. The site is on a corner of an intersection on a busy road. There are several pass of people such as from those shops around the site and from the　parking on the north side. 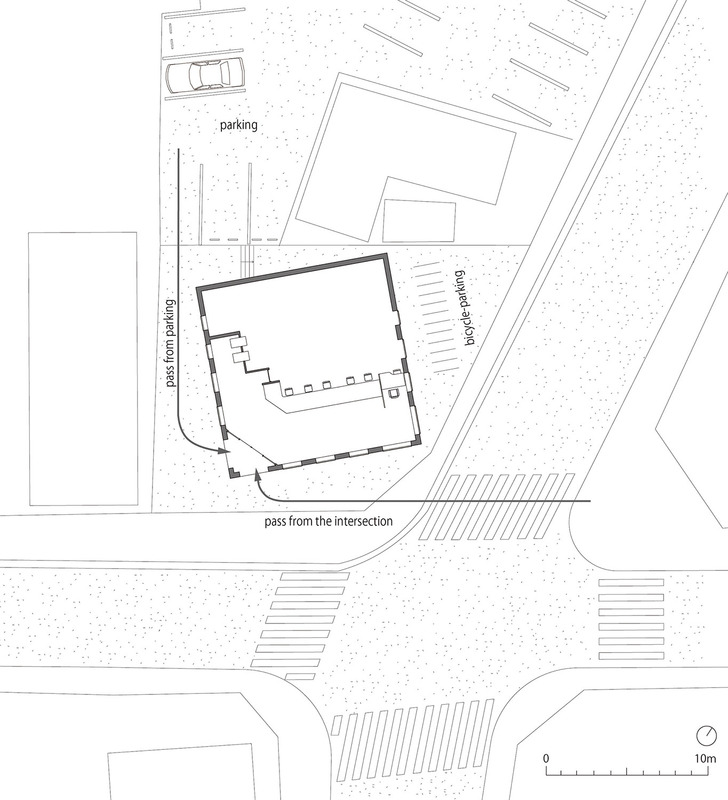 Because of the parking is on the opposite side from the intersection, the site planning is needed to adjust for the both access. So we put a square volume diagonally seeking the best angle so as to widen a pass from the parking and to receive pass of people from the intersection at the same time. And by giving graduations to the façade; graduation of the window size and graduation of the　color, we intend to lead people to the entrance. 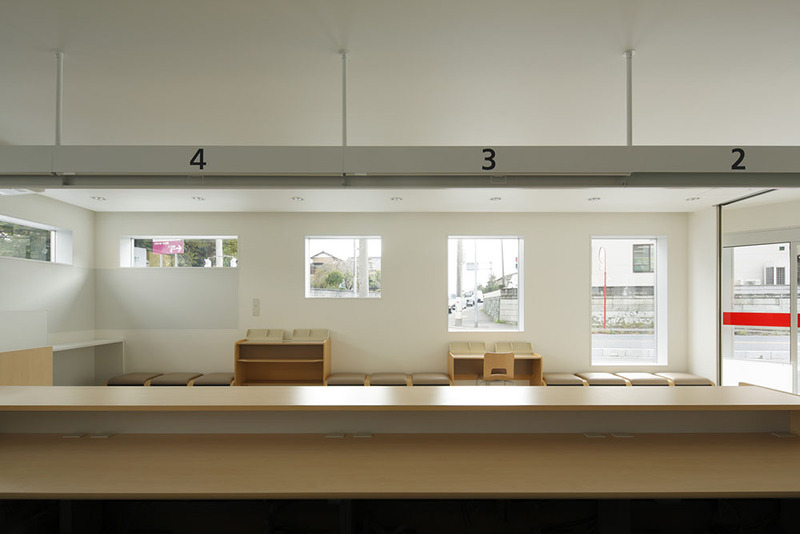 In the interior, the central postal counter has light space with large windows, and the bank & insurance counter, the consult counter and the ATM corner have small windows so as to protect　the privacy. 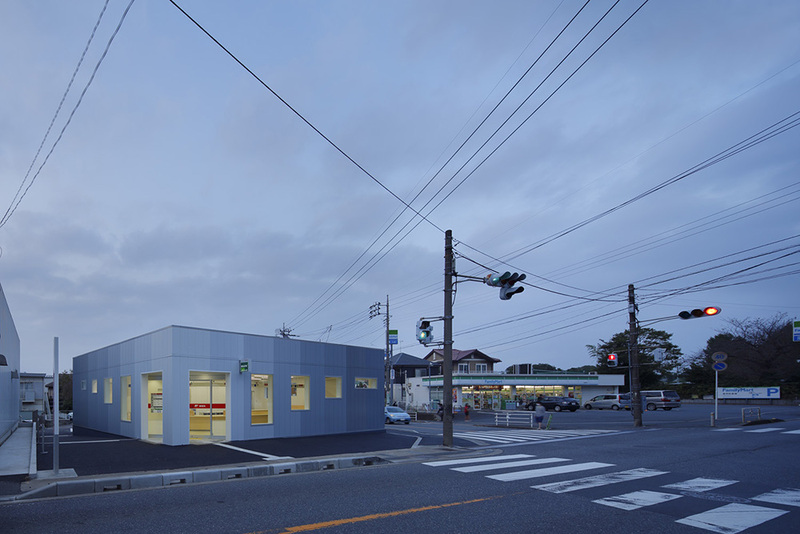 We hope this post office to be a place where local residents can stop by to feel free, and pivot activating communication. 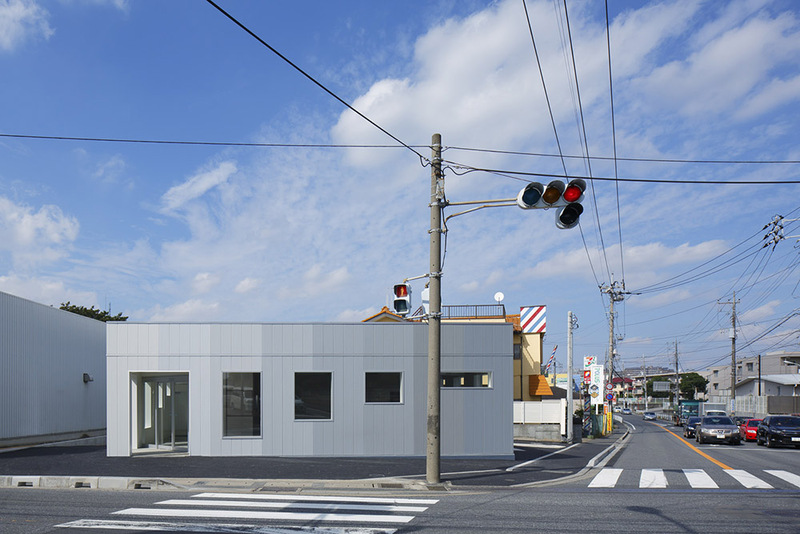 Photo : Koji Fujii/Nacasa and Partners Inc.
©Kubo Tsushima Architects All Rights Reserved.